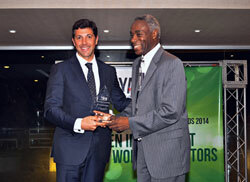 The Turks and Caicos Islands is compliant with the Global Forum’s standards on exchange of tax information said its Minister of Finance today, Thursday, 25 June 2015. 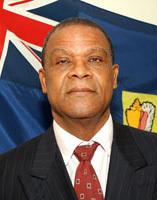 The Honourable Washington Misick was responding to a European Commission (EC) document that appeared to list 30 territories across the world that it considers tax havens. The People’s Democratic Movement (PDM) emerged stronger after its annual convention held on Grand Turk, the nation’s capital. Three days of events saw the party electing its officers, working in the community, speaking to the future and honoring the service of those who served the party during its existence. 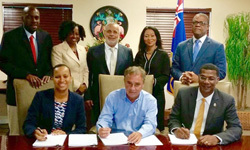 The Turks and Caicos Islands (TCI) Government has signed a Development Agreement with the Desarrollos Hotel Group to build a $224 million dollar Ritz Carlton hotel, resort, casino & spa in the Grace Bay area of Providenciales, April 2, 2015. PROVIDENCIALES, Turks & Caicos Islands - interCaribbean Airways is pleased to announce our new rewards program called "Cacique Rewards". 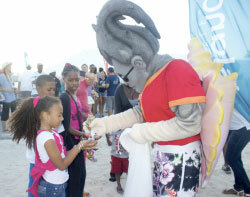 A rewards program for our customers across the islands of the Caribbean. A new Commissioner has been appointed to the Royal Turks and Caicos Islands Police Force (RTCIPF), it was announced by the Governor, HE Peter Beckingham, today Wednesday 10 December. 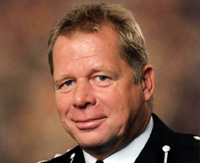 James Smith will take up the position in charge of the 280 officers and staff of the RTCIPF in February 2015, following the conclusion of the contract of his predecessor, Canadian Colin Farquhar. "I am delighted that we have secured the agreement of Jim Smith to take over as the next Police Commissioner this February..."
Twenty six Turks and Caicos public servants who recently received degrees demonstrating their commitment to personal and professional improvement are recognised by the Deputy Governor’s monthly spotlight initiative, it was announced today, Thursday, 11 December 2014. 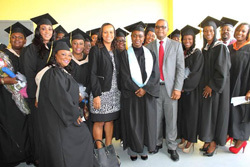 The group consisted of 19 TCIG civil servants, and seven staff from statutory bodies, who graduated with bachelors and associate degrees in Education, Primary Education and Business Studies awarded by the TCI Community College. The Turks and Caicos Islands Government extends heartfelt condolences to the family, friends, members of the Bahamas Faith Ministries International and the entire Commonwealth of the Bahamas on the tragic death of Dr. Myles Monroe, his wife and the other passengers and crew, who fell victim to a plane crash over Grand Bahama yesterday evening. TURKS & CAICOS - On Wednesday, 5 November, the Department of Environment and Maritime Affairs (DEMA) received a call from a concerned resident to say that there was a manatee seen swimming around the Ports Authority Dock in Grand Turk. 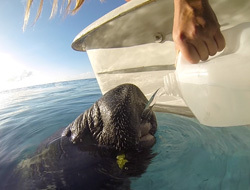 Although it was not seen on Thursday, on Friday the Cruise Centre reported to DEMA’s Environmental Officer, Katharine Hart, that the manatee was seen near the cruise ships. 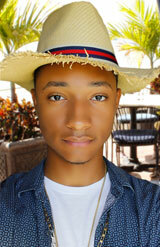 To all Turks and Caicos Islanders, residents and visitors, today we celebrate our 1st National Heritage Day. Today is the day in which we celebrate all that was inherited from past generations, maintained in the present, and bestowed to future generations. We thank God that on this special day in history that we can look back at our achievements as a people and be proud of where we have come and be even more driven to where we should go. Culture is the soul of a nation; the finest expression of humanity and a record of a people’s evolution and advancement. From Salt Ponds, to the Conch Farm; from “going-in-the-field” to billion dollars luxury resorts; from the peaceful donkeys in Grand Turk to the Private Jets in Providenciales; from potato bread to Lobster in reduction sauce; Pepper Joy to Bambara Rum, as a people our cultural story demonstrates a culture in evolution and advancement and that my fellow countrymen is our Heritage. TURKS & CAICOS - A new Chairman and five board members have been appointed to TCI’s Human Rights Commission, Governor Peter Beckingham has announced. 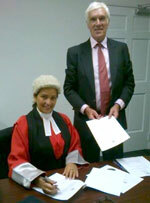 His Excellency the Governor, Peter Beckingham, swore in Ms Margaret Ramsay-Hale as the Turks and Caicos Islands first female Chief Justice today, September 22. The Chief Justice is the highest judicial officer in the country, and acts as a chief administrative officer for the courts. The principal responsibilities of the position include presiding over b oth civil and criminal trials in Grand Turk and Providenciales, as well as dealing with sufficiency, plea and direction hearings. 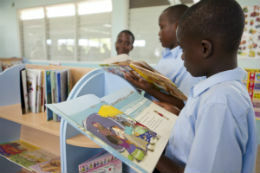 TURKS & CAICOS - The Oseta Jolly Primary School (OJPS) officially opened the doors to its state of the art learning centre on Tuesday, 16 September 2014. The Deputy Governor’s Office announces the appointment of six new senior managers within the Turks and Caicos Islands Government (TCIG). PROVIDENCIALES, Turks & Caicos Islands - interCaribbean Airways extends their partnerships with the travel agent community and is hosting an event to meet The Bahamas Travel Agents and Travel Press. 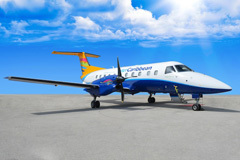 interCaribbean Airways has been expanding their schedule, created well timed connections from cities for easy connection across the Western Caribbean. 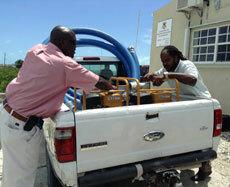 For the non USA visa holder, now is easier than ever to travel without flying into the USA to cross the Caribbean. From Nassau (NAS), interCaribbean Airways offers your clients non-stop flights to Providenciales (PLS) in the Turks & Caicos Islands. 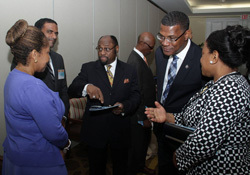 TURKS & CAICOS - The Acting Governor and the Premier of the Turks and Caicos Islands (TCI) convened a national disaster committee meeting about the country’s ongoing recovery works from the floods caused by Tropical Storm Cristobal today, Tuesday, 2 September 2014. TURKS & CAICOS - A sloop carrying 82 would be illegal immigrants was intercepted by the Royal Turks and Caicos Islands Police Force (RTCIPF) and brought safely to port at South Dock, Providenciales at 10.00am today, Monday, 1 September 2014. The vessel was captured following a report passed to the police by immigration staff at the government’s coastal radar station.